If you have been visiting this blog regularly, you may not have noticed the changes that have been occurring, one by one. If you haven't been here for a while, you may be quite surprised by the design and layout that you see here now! Changes in life are sort of like that, too. My husband and I were married 25 years ago today. We don't see much change in each other - but I suspect someone who hasn't seen us since our wedding day might think otherwise! Some of these changes on this blog (like the color scheme) are purely cosmetic. Others (like reorganizing the content, and adding some new ways to follow the blog and share the posts) are more functional. The ultimate goal of all of it though, is to make visiting here a pleasant experience! I have been so fortunate to have the help of Kim Six to help me implement these changes. She has been so easy to work with, very patient with all of my ideas, and very, very knowledgeable about how to work magic on a Blogger blog! I cannot thank her enough for her wonderful help, and I can't wait until you see the rest of what we are working on! 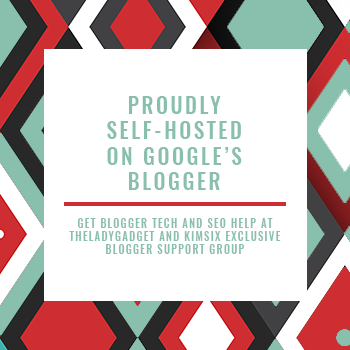 If your blog is hosted on Blogger and you are needing some help, I highly recommend you visit Kim's website Kim Six: Blogger Support and Troubleshooting, and contact her. Happy Anniversary! Our 25th is on the 29th - so funny that we got married one week apart! I love the new look on your blog. Happy 25th to you this weekend Lana ... as always, so much in common! Glad you like the new look - a few more changes still to come! Of course you were married the same year as me! My word - yet another thing in common. And Lana, too? Wow. That's cool. Happy Anniversary. 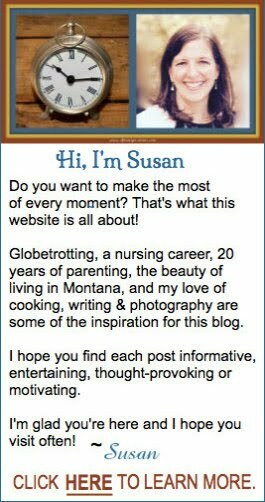 Your blog looks wonderful. I wonder if it is all these common denominators that led us all to be bloggers? It most certainly is what helped us to find each other! Your husband would be SO very proud of you Kelly <3. 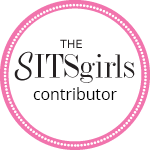 Thanks for the compliment on my blog - Kim Six certainly deserves some credit - I would not have been able to accomplish some of these changes without her! You are very kind, Lee! Happy anniversary. Your smiles are the same - which is truly lovely. Nice selection of words and ... love the new look. Thanks Delores! Your blog is on my list to visit today! Blogging time has been scarce, and my schedule has been quite disrupted, but I am looking forward to catching up! Thanks Leanne! You must have looked at the photo without your reading glasses - but I appreciate the compliment on both the photo and the blog! You look so great! Congratulations! Thank you - and thanks for stopping by! I am so honored, Leanne! I would love to participate, and I will try to fit it into my blog post schedule sometime in the coming month! Congratulations on receiving the award yourself! I noticed a change here and there, the colour scheme is nice, very easy to look at. Thanks for your feedback River. I have been plotting these changes for a while, but needed the help of an expert like Kim Six to make them happen! Heading over to your blog today to get caught up! Looking good, indeed! The blog AND the handsome young couple in the two pictures at the top of the page! I look at my parents' 25th anniversary pictures and think of how young they are. When I was IN those pictures, I was thinking they'd been married forever. Now that Husby and I approach our fortieth (yes, you heard that right) all I can think is: WOW! Congratulations on your anniversary! Here's to twenty-five more! Congratulations on your upcoming 40th Diane! You clearly got married much younger than I did! I know what you mean about the perception of age and time... I thought my parents had been married forever as well, when we celebrated their 25th! Congratulations! I'm 11 months behind you too but I think I'm older than you. I'll be 46 in January. I really like the changes. I'm getting ready to do that to TDAC since I am taking it back to just ALZ/Caregiving. The new one is my play toy I guess you could say. I'm still figuring it all out. I know I want to do something to help new bloggers out which is my goal with the new group. We're wanting to provide technical help, find work in this area etc. I was a nervous wreck announcing it but it seems to be doing pretty good. We had 30 members as of tonight. Your blog technical skills are beyond mine Rena - you have done some really cool things with both your blogs. And now a book - and a new group. The members are so lucky to have your help! Good luck with it - geographically I'm in the wrong spot to join, but it sounds like a great idea! My List of Fabulous Finds: 12 Helpful Resources! Words for Wednesday - and a Prize-Winning Recipe! Blue Bird - Blue Bell - - Blue Bonnet! It's my turn to host Words for Wednesday!